Over the past 135 years Cardiff has awarded degrees to hundreds of thousands of graduates. The rituals of Graduation Week have changed just a little since 1883, but in mid-July – as in so many summers past – the people of Wales’ capital will again stop to welcome a colourful influx of graduands, academics, friends, and family. Cardiff’s student wards (sometimes a little bereft over the long summer months) will come alive with graduation buzz, and residents and visitors alike will watch on as 7,000 mortarboard-sporting scholars travel the well-trodden path between Cathays Park and St David’s Hall. Some amongst that group will take unbridled joy in the culmination of one, three, five or even seven years of hard work and shared achievement; others will make time to reflect and bid a fond farewell to the setting of their own unique stories. We’ve all been there. There’s little time to dwell before the moment itself arrives. 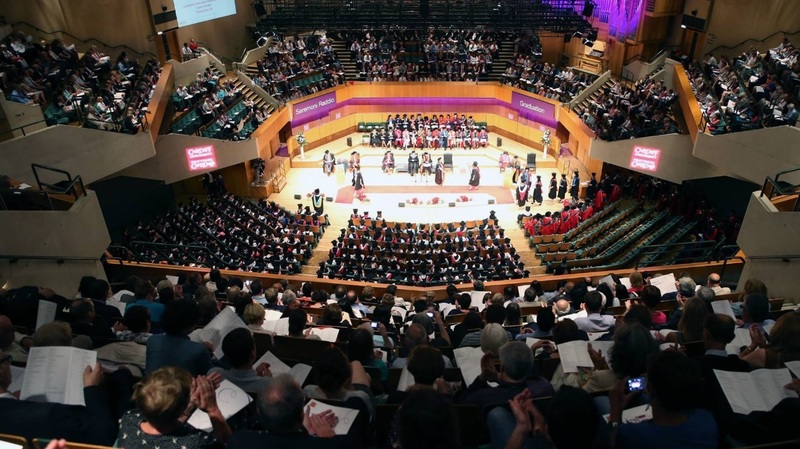 Pivotal in each of our lives, and yet over in the time it takes to traverse the stage: with a doff of the cap and a shake of the hand, the Vice-Chancellor welcomes each candidate into Cardiff’s proud alumni community – this week prouder than ever. Ours is a group that is nothing if not diverse. In fact, its very existence is contingent on an amalgamation of different institutions (including the former University College Cardiff, UWIST, the Welsh National School of Medicine, and a dozen others) comprising 160,000 graduates in 180 countries. What brings us together is our shared experience of living and learning in this city and the pride we feel in calling ourselves Cardiff alum. It drives us to fly the flag for Cardiff across a vast array of fields, and our shared achievements contribute so much to the global reputation that our University and city today enjoy whilst setting an inspiring precedent for the soon-to-be Class of 2018. As we prepare to welcome them to the Cardiff community and look forward to hearing of their adventures, we can excuse ourselves for looking back to our own. In fact, we actively encourage it: on the anniversary of your graduation, tell us your Cardiff story, or provide one (or more!) of our new graduates with a workplace opportunity. But above all, remember that it’s a chapter that is never closed to you. Cardiff is for life, and we hope you are as proud of your time with us us as we are of you.